My new wife and I booked our honeymoon to Borneo with Clare and Different Planet Travel. And we are so glad we did. She listened to our requirements, asked questions and organised the perfect trip absolutely tailored to our requirements. From arriving at Heathrow until the moment we made it back, we didn’t have to worry about a thing. Clare took care of everything – all we had to do was relax and enjoy ourselves. The whole experience really exceeded our expectations and that was all down to Clare’s attention to detail and creativity.  We will recommend Different Planet Travel to all of our friends and family. Clare’s suggestions through to her final recommendation were fantastic and so totally on brief. She completely listens to and understands her clients needs. The smoothest holiday booking I have ever made, she works only with the best and it shows through the service you receive. Our week away was everything we wanted it to be and more. So thank you Clare for recharging our batteries and we can’t wait until the next adventure. If Carling made holidays they still couldn’t beat the service received from Clare and her team at Different Planet Travel! Having given Clare two completely different briefs this year, both trips exceeded any expectation we may have had. Clare provided prompt creative versatile ideas within budget, she imparted a knowledge and a passion for the suggestions made and took care of every finite detail to ensure our holidays were a huge success! I wouldn’t hesitate to recommend Clare to anyone looking for holiday perfection. Clare’s level of creativity, enthusiasm and passion for trip advising is unparalleled when it comes to planning the perfect getaway! Last October, I surprised my partner with a “just pack a bag and follow me” birthday trip, with no one set destination in mind. Clare was able to convert my vision into a flawless weekend in Florence. She put together a first class A-Z package and off we went. Her knowledge, attention to detail and unique touches made for a very relaxing and champagne on ice experience. When planning your next trip, just pack your bags and leave the rest with her! Clare is an absolutely first class travel advisor. Her client service and industry knowledge is second to none, but most importantly she truly cares that the people she works with have an amazing holiday every time, which is why I have lost count of the number of people I have recommended her to. Clare has helped us now with two fabulous holidays and went above and beyond in selecting some gorgeous boutique hotels and accommodations in areas we would have never thought of, she is so much more than the every day travel agent, she cares and her attention to detail is excellent, making sure every aspect has been covered. Clare arranged the most wonderful honeymoon for us. She made every effort to involve us in the really fun elements of planning the holiday of a lifetime, whilst ensuring we never had to worry about any of the dull details. Her passion for our honeymoon matched ours, which is what so impressed us about Clare. Nothing was too much effort, she investigated all of our ideas thoroughly and recommended some superb places, hotels and activities of interest. We cannot thank Clare enough for her incredibly professional and friendly service – she truly exceeded our expectations by delivering a dream holiday. Without hesitation, we’ll be back and we’ll happily recommend her to family, close friends and anyone else thinking of using her. Different Planet Travel organised the most amazing trip to Sri Lanka and the Maldives for our Honeymoon. Very easy to deal with and professional. We highly recommend Different Planet Travel. From our first explorations of New York to a short safari in South Africa, total relaxation in St Lucia, a Ecuadorean & Galapagos adventure, our mini-moon in Marrakech, a family holiday to Halkidiki and our fast approaching South African honeymoon we have used Different Planet Travel every time. Clare takes the time to understand your personal requirements and designs something to perfectly suit your needs & budget. Ten out of ten for service and just being generally lovely. Clare and the team take all the stress out of booking and going on holiday – its a pleasure from start to finish. I’d always booked direct before, but Clares insider knowledge and contacts mean she can recommend places that exactly fit your requirements – and she gets the best prices! Clare booked an unforgettable trip to the Four Seasons Marrakech. Even though it was a last minute decision, she managed to get us one of the best rooms over the Christmas period. I was travelling with my 3-year-old son and mum (who’s age I won’t reveal!) and she took care of all our requirements, even placing a little toy camel in our room for when we arrived. We still talk about that trip and I would definitely use/recommend Clare for any future holidays!